Young writer Ryan (Chris Mason) is desperately searching for inspiration for his new novel whilst suffering a badly broken heart after being dumped by his glamorous girlfriend Lucy (Wallis Day) and adjusting to life away from his beloved Liverpool. In a misguided effort to cheer him up, his two best mates, John (Elliot Gleave / Example) a successful city trader and Connor (Lucien Laviscount) a budding Hollywood actor, take him out on a tour of the wild excesses of London's party scene where he meets the girl of his dreams, art gallery owner Anna (Hannah Britland). However on his journey, Ryan becomes torn and conflicted between life's priorities; to his friends, to his writing and to his roots. Filmed in London and Liverpool, Between Two Worlds was written by Stephen Morris in his feature debut and directed by James Marquand (ONE NIGHT IN ISTANBUL). The film stars Chris Mason (LEGEND), Hannah Britland (RUSH) Lucien Laviscount (SCREAM QUEENS) Wallis Day (HOLLYOAKS) and Elliot Gleave (Example) in his first film role. Regions are unavailable for this movie. 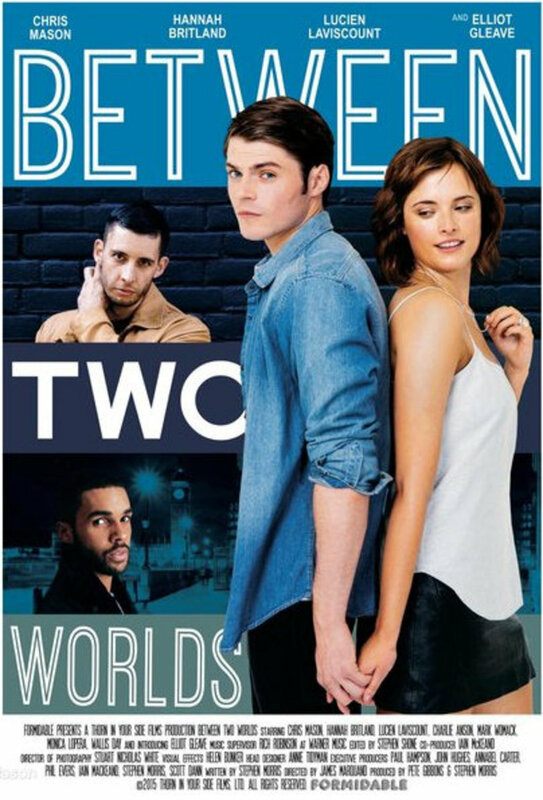 Click the "Watch on Netflix" button to find out if Between Two Worlds is playing in your country.